It's Easier if You Don't Struggle. 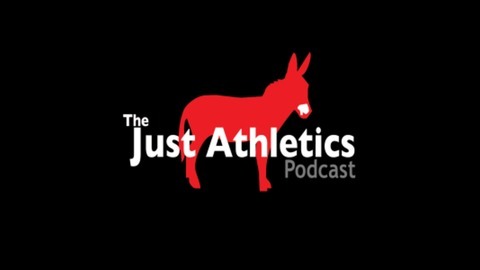 Chris and Josh kick off 2019 with guest Doug Binder, arguably the best high school track & field journalist in the country and editor-in-chief of Dyestat.com. Doug has been writing about the sport of track & field for 20+ years. He started his career at the Corvallis Gazette-Times in 1994 and worked for 10 years at The Oregonian from 1999-2009. He has been the editor-in-chief of dyestat.com since August 2013. Doug co-authored a book with Pat Tyson, “Coaching High School Cross Country Successfully.” Doug attended Oregon State University, due to a rich family tradition and an OSU and NBA basketball legend. Chris, Josh, and Doug discuss Doug’s time attending the J.A. Summit, which he recently wrote about on dyestat.com, some of the better track & field performances each of them have seen in person, the transformation of Hayward Field, the national high school hall of fame, and Doug’s role as a journalist in the sport of track & field during the social media age. It is a great hour spent with someone who constantly contributes to the sport of track & field. Thanks Doug! 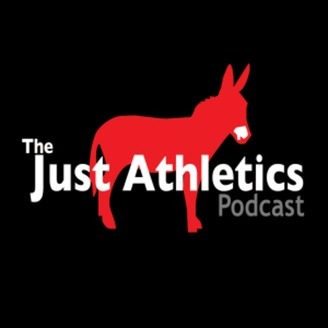 Subscribe to the show on iTunes or Stitcher to get future episodes and please follow us on Twitter @just_athletics and like us on the facebook.